Q. Where can I find online resources to write a marketing plan? You can use library databases to find articles on marketing plans, specifically the ABI/INFORM Collection. Once on the A-Z list, you can click on the letter A, or choose Business from the "All subjects" box, then pick the ABI/INFORM Collection link. The next step will be to generate keywords. You can start with "Marketing plans" as a search terms, so enter this into the ABI/Inform search box. Putting topics that are more than one word in quotation marks (" ") makes the database search it as a phrase, not just isolated words. This helps you find more relevant results. Also remember to check on the small 'Full-Text' box before hitting the 'search' button. 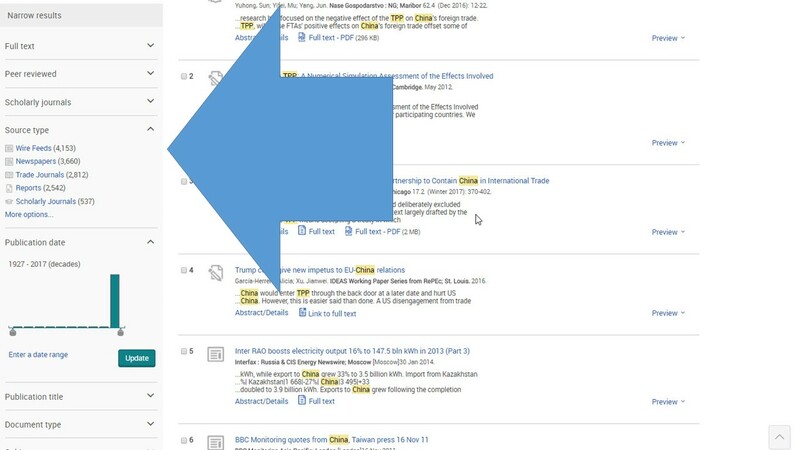 To get a more focused list of articles, you can use other search terms for combination search, such as "marketing plans" AND (use the name of specific company or industry), or "marketing plans" AND "start ups". Click on the title of articles you are interested in to see the full text. 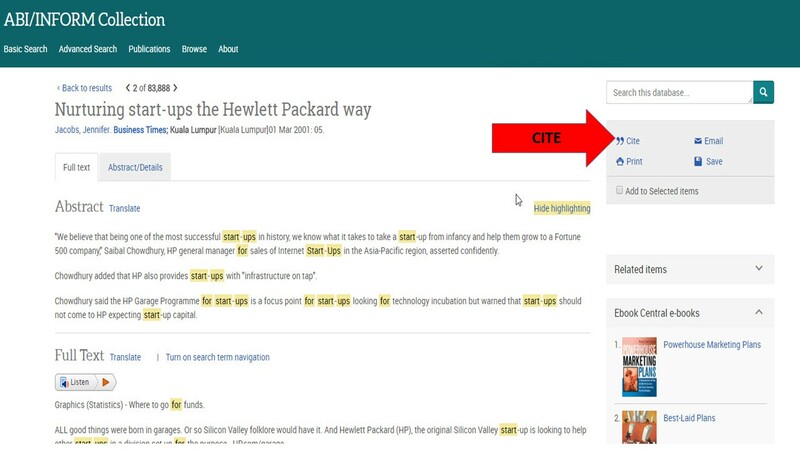 Once you've chosen an article to include in your paper, ABI/INFORM has a 'cite' feature that will enable you to create a citation for the article in APA or MLA format (depending on what was designated by the instructor). You'll see the 'Cite' link in the box at the top right (see image below).